Prime Minister Jacinda Ardern speaks to Parliament on March 19, 2019 in Wellington, New Zealand. New Zealand’s prime minister, Jacinda Ardern, gave a powerful speech in that country’s parliament today expressing solidarity with the victims of Friday’s terrorist attack that left 50 dead and dozens injured. Ardern also had strong words for the social media companies that enabled the shooter to broadcast his massacre around the world. “We will look at the role that social media played and what steps we can take, including on the international stage and in unison with our partners,” Ardern said. The prime minister acknowledged that social media alone wasn’t responsible for the shooting, but argued that it did play a role. 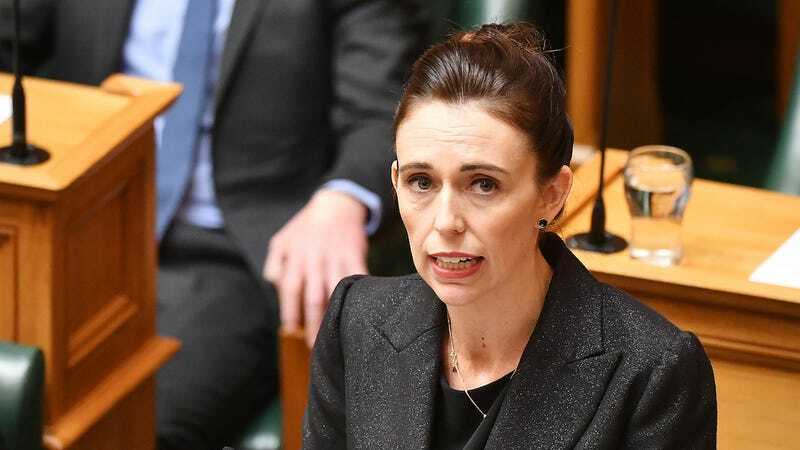 Ardern promised a thorough investigation to ensure that a massacre like the one in Christchurch never happens again and said that there will be a “frank examination” of New Zealand’s gun laws. The prime minister promised she will never utter the shooter’s name in order to deprive him of the notoriety he so desperately wanted. People around the world are taking a hard look at the role that social media plays in our lives as white supremacist fascism spreads. A 28-year-old man from Australia used semi-automatic weapons to kill 50 people in two mosques in Christchurch, New Zealand, slaughtering men, women, and children as young as 3 years old. The white supremacist gunman was able to broadcast 17 minutes of his brutal rampage on Facebook and social media companies were slow to remove the video as it was re-uploaded to services like YouTube and Twitter that day. Facebook insists that fewer than 200 people saw the original livestream of the murders and that none of those people reported the video. But that contradicts an account from a journalist who covers extremism, Jared Holt, who says that he reported the video as it was happening. “I was sent a link to the 8chan post by someone who was scared shortly after it was posted. I followed the Facebook link shared in the post. It was mid-attack and it was horrifying. I reported it. Either Facebook is lying or their system wasn’t functioning properly,” Holt reported on Twitter overnight. Protesters hold placards as they march during the Stand Against Racism and Islamophobia: Fraser Anning Resign! rally on March 19, 2019 in Melbourne, Australia. Internet service providers (ISPs) in New Zealand are now blocking some websites that fail to remove the terrorist video from Christchurch. But it’s not clear what specific steps the government might take to restrict social media in the future. New Zealand’s Sky News pulled the Australian affiliate of Sky News from the air in New Zealand after the Australian broadcaster played clips from the shooter’s livestream. Ardern’s address to parliament was posted to YouTube by her party, the Labour Party of New Zealand, and she stressed that social media wasn’t the only culprit. Settler nations like New Zealand, Australia, Canada, and the United States all have a history of white supremacist actions that have been fully sanctioned by the government. Some politicians in those countries, like Senator Fraser Anning of Australia, are still openly white supremacists. Anning was egged by a 17-year-old boy in a move that quickly became a meme and there have been protests in Australia for him to resign after blaming the victims of the massacre for their own deaths. The gunman explained that he targeted New Zealand because Muslims feel safe there and explicitly mentioned President Donald Trump, who he called “a symbol of renewed white identity.” President Trump denied being an inspiration for the shooter, despite all evidence to the contrary. Trump has previously called for a ban on all Muslims coming into the United States and the gunman uttered rhetoric that is identical to the garbage spewed on Fox News. 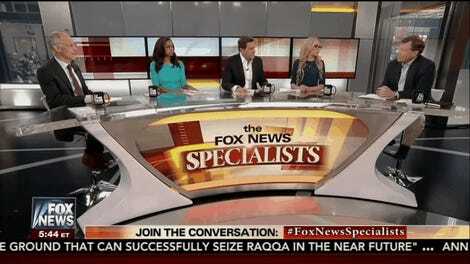 To combat the narrative that the gunman was inspired by President Trump, Kellyanne Conway told viewers on Fox News to read the shooter’s 70-page manifesto, a baffling and disturbing suggestion. Fox News, of course, helped elect President Trump and is one of the primary reasons that he’s still able to cling to power. “On Friday it will be a week since the attack. Members of the Muslim community will gather for worship on that day. Let us acknowledge their grief as they do,” Ardern said in her speech.